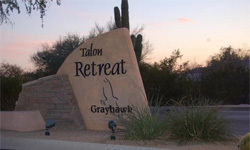 The modern and popular community of Grayhawk was designed around it’s uniquely beautiful environmental setting. 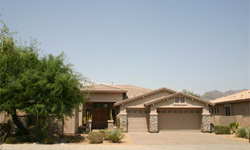 Right in the middle of this gated , high end community is our Four Bedroom home with a Private Casita. 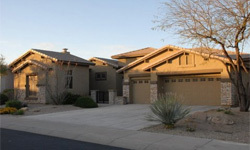 You walk thru the center courtyard with outdoor fireplace and thru the front door to stunning views of the Grayhawk Talon Golf Course out the living room windows! 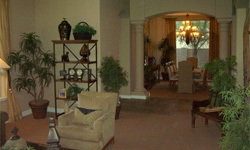 Just off the entryway is a library/game room complete with Poker Table and 50” Flat Screen TV mounted on the wall. There are dark wood floor to ceiling book shelves with two cozy reading chairs as well. 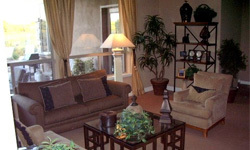 The inviting living room is steps from the gorgeous formal dining room that seats eight. 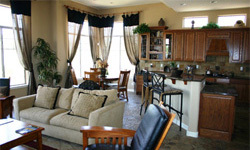 Before you can catch your breath, you walk into the family room and gourmet kitchen where you immediately feel at home! 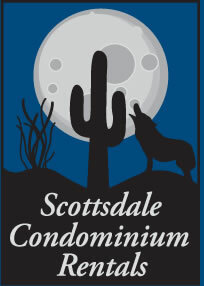 Stunning views from every window make you say “I may never leave”! The master bedroom with king sized bed is unmatched in size. 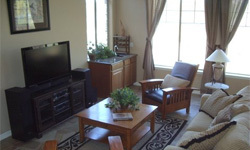 There is a seating area with a comfy chair and French doors leading to the furnished patio. 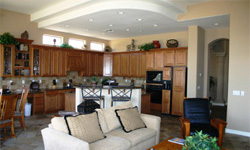 The master bath has 4 sinks, a large oval soaking tub and walk in shower. The huge walk in closet can almost be another bedroom! 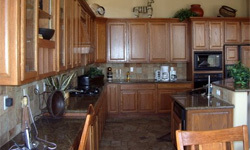 The fully stocked kitchen has a center island and a kitchen table that seats four. The door off the family room takes you onto the very large furnished patio with dining for six, complete with BBQ for those sunset dinners and swimming parties in the heated pool. 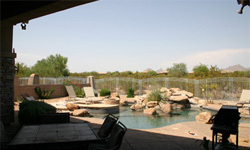 The center courtyard offers table and chairs to enjoy an evening sunset and outdoor fireplace. 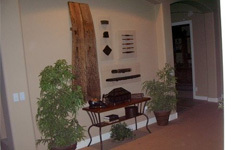 A separate casita with it’s own entrance is just off the courtyard. 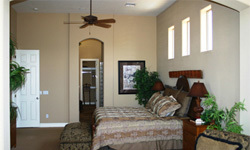 It has a full bathroom Queen sized bed, mini kitchen and flat screen TV.